Larrichio spoke at the 2018 Feria del Libro in Pereira, Colombia in October where his book, La Construcción multicultural de una economía colonial, was officially launched. It was published through an academic press affiliated with La Universidad Tecnológica de Pereira, where he is affiliated as a Visiting Professor. His study focuses on the region of Colombia known as the Eje Cafetero (The Coffee Zone) which lies within the Middle Cauca Valley, an area he is quite familiar with, having previously worked there as a Peace Corps Volunteer in the 1960s. In prehistoric times the region was the center of numerous indigenous chiefdoms. Following conquest, Cartago emerged here as an important city along the camino real between Santa Fe de Bogotá and Quito. The Native American cultural landscape here changed forever after the arrival of Spaniards and Africans. A small indigenous community survived conquest on lands designated as a resguardo well into the nineteenth century. Fueled by fertile agricultural lands that sustained intensive mining activity in the nearby rich gold fields of the rainforests in the Chocó, the local and regional economy grew substantially and opportunities within the growing realm of labor abounded. 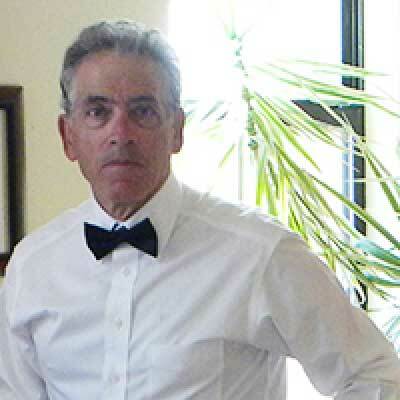 For over fifty years, Larrichio has traveled and worked extensively in this region. In his research, he has utilized an interdisciplinary methodology, including the review of archaeological surveys, geography, ecology and environmental studies to complement the extant historical record, gaining insight into demographic change and the evolution of a new, multicultural society. An important component of his research included formal and ad hoc field studies to compensate for the limitations imposed by document history. Human ecology permeates all natural environments, and Larrichio found that the human pathway here left indelible marks on the landscape, providing challenges and opportunities to uncover important clues to the past. His surveys extended from the lower tropics in the Cauca Valley from three-thousand feet in elevation, and climbed to twelve thousand feet into the cold páramo zone unique to the Northern Andes. Along the way, he plotted the location of the last colonial Indian reservation in the region, and identified the original trajectory of the sixteenth century Camino real del Quindío along segments lost to the historical record. Join us as Larrichio discusses his experiences in both the field and within the archives to shed light on how the natural landscape can contribute substantially to our research as we strive to enhance our understanding of the cultural landscape of a region.